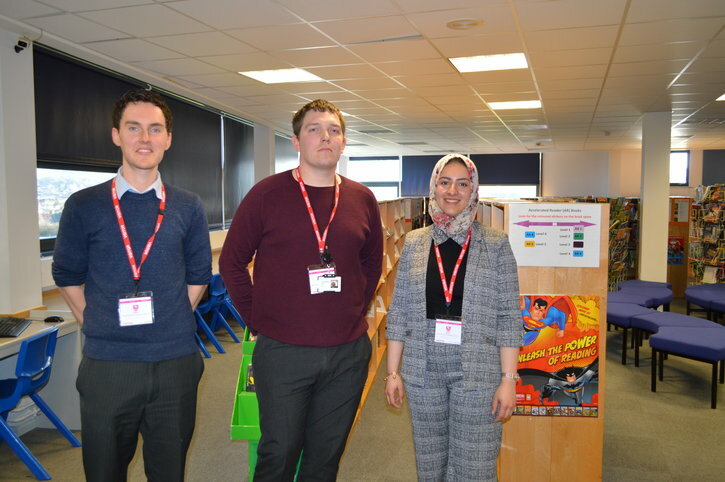 Site Engineer Muna Alkaabi took a group of volunteers on their second school visit in the local area of Filton Bank as part of a programme of visits to inspire the next generation during the Year of Engineering. The group comprised of Muna Alkaabi (Site Engineer), Geraint Matthews (Environmental Advisor) and Daniel Shaw (Health and Safety Advisor). They visited Bedminster school in Bristol to promote engineering to students age 11-13. The aim was to give them an idea of how the construction industry operates by talking about the different roles at Filton Bank and going into detail about their own roles and experience, using examples such as Muna’s work on the demolition and reconstruction of Stapleton Road Viaduct. They also covered other topics such as modelling and temporary works design. The school found the visit very beneficial to students, with the co-ordinator saying “I just wanted to thank you and your colleagues for coming in to the school. It was an excellent session”, and already asking to arrange it again with younger year groups. Muna found it especially pleasing at the end of the presentation to have a girl approach her with a keen interest in engineering. She asked many questions on ways to get into the construction industry after school as she did not know on how to fulfil her passion, particularly being the only girl within her group. The Filton Bank team’s next careers fair is arranged for May in another local school. The team are doing a fantastic job of promoting the industry and business to inspire young people in Bristol during an ongoing campaign tied to the Year of Engineering.